Some call it a bubble and others call it a bonanza. So what does Bitcoin really offer average investors? One Bitcoin expert has some good answers. Bitcoin can understandably be both enticing and confounding to novice investors, who see the historic growth in the cryptocurrency but also wonder how investing in digital currencies really works. Bitcoin, which is hovering around the $4,000 price level this week, is widely recognized but little understood. A new survey from LendEDU says that 78% of American adults "have heard of Bitcoin," while 87% of younger Americans (ages 18 to 24) are aware of Bitcoin. Still, confusion reigns when it comes to the digital currency. The same study notes that 47% of Americans believe Bitcoin trading is "illegal" (not true) and that 85% of U.S. adults "have never owned" Bitcoin. If you want to change that scenario, and invest some of your hard-earned money in Bitcoin, or other cryptocurrencies, one investment expert advises knowing what you're getting into first. "Bitcoin and most cryptocurrencies are asymmetrical risk/reward opportunities," says Ryan Charleston, digital marketing manager of Scottsdale, Ariz.-based Sweetbridge, a global alliance that aims to leverage blockchain technology (Bitcoin's underlying technology platform) to create a liquid supply chain. "If you're investing in them be prepared for abnormal volatility and a long-term perspective on returns." Charleston says that trading Bitcoin with no prior experience can be difficult and frustrating. "If you're super green, get a mentor and study up before taking on too much risk or investing too much money," he says. To bone up on Bitcoin, Charleston also advises educating yourself online, through websites like weusecoins.com (he calls it a "great place to start") and to watch the new Netflix documentary, "Banking on Bitcoin," which provides great insight into the history and movement behind Bitcoin and blockchain technology in general. To start trading Bitcoin, Charleston advises researching popular and centralized exchanges such as GDAX, Gemini, Kraken, and Bittrex, all of which allow you to trade Bitcoin and other cryptocurrencies. "I'm also excited to see decentralized exchanges come to market with 0x Project, MakerDAO, Airswap, and Kyber.Network," he adds. "These exchanges which will eventually let you trade Bitcoin, Ethereum (ERC20) tokens, and altcoins without the need for centralized exchanges and sidestep the problems associated with them, like when a country deciding to ban all exchanges." "This won't be possible when we have decentralized exchanges with no central operator," Charleston notes. Bitcoin has been all over the map of late. Strategy-wise, Charleston says that Bitcoin trading strategies vary widely. "Some take a traditional approach using technical analysis, trading them like they would fiat currencies, stocks, bonds, and commodities on major stock markets," he explains. "However, many novice traders and/or those invested in the long-term potential of Bitcoin simply buy and basically hold on for dear life." Additionally, if you're new to Bitcoin and cryptocurrency trading, Charleston says to avoid trading on margin or trading on small, unproven exchanges. Another tip: always enable two-factor authentication protection on your accounts. Is Bitcoin too volatile for most regular investors? Not necessarily, Charleston says. "Bitcoin is risky, but much less now than it was four years ago," he notes. "Today, with hundreds -- soon to be thousands -- of coins in a crypto market worth $140 billion and growing, there's an opportunity for the novice investor to play the role of a venture capitalist or angel investor." In that way, investing in cryptocurrencies today is a lot like investing in early-stage startups, he says. "Diversify your capital into 10, 20, or even 100 coins and blockchain projects, with an expectation that many will fail, few will be successful, but the few that are successful could see 10-time to 1,000-time returns," he adds. 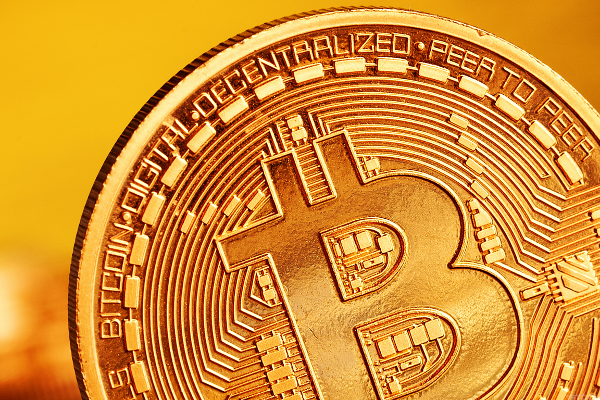 Yes, Bitcoin is the new kid on the alternative investment block. And as Charleston notes, there's really no reason a well-informed investor can't be the one making it.